Established in 1967, Van Hydraulics grew from humble beginnings, evolving from the simple need for a jack repairman. Company owner, Art Fernandez, explains: "The company started from necessity. I was in the foundry business and a person came to me and asked if I knew anyone who repairs jacks. I didn't, so I got a repair kit, and I fixed it. Soon, I was repairing jacks for a number of businesses." Today, Van Hydraulics is one of the largest and most reliable hydraulics repair facilities on the East Coast, serving both domestic and international customers. 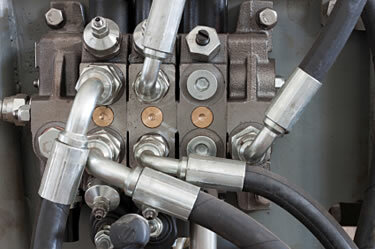 We sell, manufacture, service, and repair hydraulic products, thus providing our customers with one-stop shopping. Our staff members are highly trained and have an average of 15 to 20 years of experience in the trade. All work is done on the premises, and we are the only hydraulics repair shop in the area that does chrome plating. At Van Hydraulics, our goal is to provide quality workmanship, attention to detail, short turnaround time, and professional, courteous service. We are dedicated to customer satisfaction and this is the reason so many clients call on us time and time again. OUR PLEDGE is to give you a tested, job-capable component or system having superior performance and reliability, and we back this up with a 1-YEAR WARRANTY.